Account Email: The account with which you are currently logged in. Plan/Seats: How many licensed users your current plan includes. Users: How many of your seats are currently assigned. Dedicated Servers: How many dedicated Speed Servers your organization has. Check out the Servers tab at the top to learn more about your servers. To add a new user when you have available seats, click the Add User button. You will be prompted to enter the name and email address for the user. The user will then be emailed an invitation to set their password and instructions on how to install the software and login. User - A regular user, paid for by this team account, with unlimited Speedify usage and access to the team's Dedicated Speed Servers (if any). Admin - A user with permission to use the Teams console to add and remove other users from the team. Be careful granting such power, as this kind user has complete control over the team. Guest - A user whose bill is not paid as part of this team, but to whom you want to grant Dedicated Speed Server access. 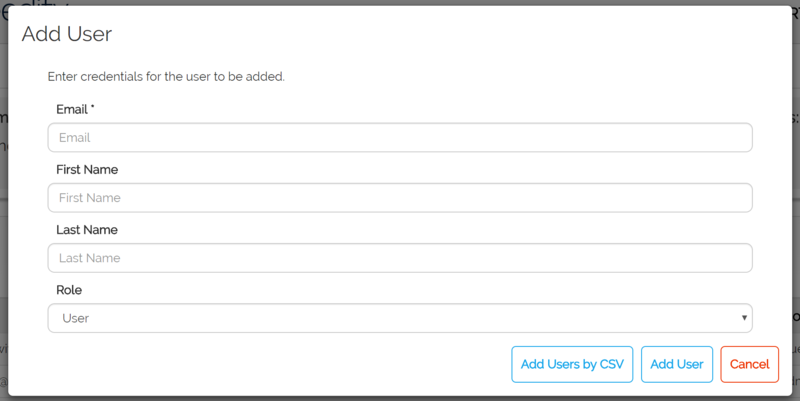 You can also add users in bulk via the "Add Users by CSV" button. If you select this option, you get a dialog which offers you the ability to download a sample CSV file. Select that option. Once the CSV file downloads, open it with a program such as Excel or a text editor. You can see it is already filled in with some sample rows. Delete these rows and enter the email address, first name, and last name for each user you are adding. 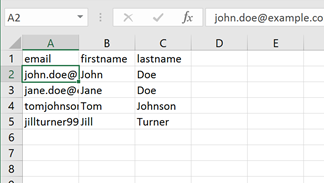 Save the file (if in Excel, make sure you keep the CSV format), return to your browser, and select the Choose File option to upload your file, then select Add Users by CSV. All of the users will be added to your team and sent invitations. You can easily adjust the number of seats that you are currently paying for. If you have already assigned all of your user accounts, you can easily add more to your subscription by clicking the Add/Remove Seats button to add additional users to your monthly or yearly bill. Each time you adjust the number of seats, it generates a new billing event, including invoice emails. So if you plan to add a number of users who need additional seats, you should add the seats for them all at once and then add the users. 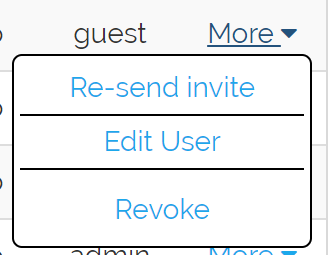 To remove a user, click More and then Revoke on their row in the user table. Usage - How much data has the user sent and received during this month? Date Added - When was user added to this team? Role - Is the user a guest, a user, or an admin?